ROH's Brody King suffered a broken hand recently but won't miss his title match this Friday. Brody King doesn’t plan on missing much time despite a recent injury. 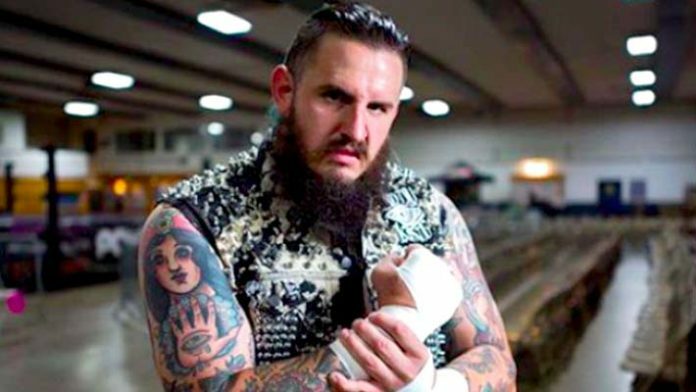 The Ring of Honor star and member of Villain Enterprises reportedly suffered a broken hand at a recent booking in Australia. His injury was addressed recently by the Wrestling Observer. King is scheduled to team with PCO to take on the Briscoe Brothers at ROH’s 17th Anniversary PPV on Friday. According to Brody himself, however, his broken hand won’t cause him to miss the upcoming match. King was brought into Ring of Honor recently as a member of Marty Scurll’s Villain Enterprises stable. He teamed with stablemate, PCO, and won the Tag Wars 2019 tournament at the end of January. The win means PCO & Brody King qualified for the NWA’s Crockett Cup one-night tournament on April 27th, 2019 and earned them an ROH tag title shot against the Briscoes. King also wrestled recently on the recent NJPW tour of the United States. He dropped a single’s match to Jeff Cobb on the final night of the 3-night tour.